As executive vice president and chief operating officer, June Koegel leads Volunteers of America’s affiliate relations initiatives to provide enhanced supportive services and opportunities to affiliates, oversees the operations of the national office, works with the National Board of Directors, and helps position Volunteers of America as we look for new opportunities. 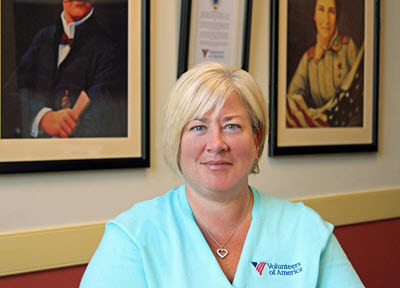 A commissioned minister, Koegel has been with Volunteers of America for 32 years, serving for 26 years as president and CEO of Volunteers of America Northern New England. She developed the Northern New England affiliate from an initial startup in 1992 to an organization that benefits the lives of more than 7,000 individuals each year. She led the effort in Maine to bring evidence-based practices and programming to the criminal justice system, developed 12 affordable senior housing facilities throughout Maine and New Hampshire, and created Camp POSTCARD – a summer camp for 165 children in need working with law enforcement officers. Koegel has been very active in Volunteers of America nationally, serving on the national board of directors, the executive committee, and the National Ecclesiastical Board. She has served on the boards for Leading Age Maine and New Hampshire, Jobs for Maine Graduates and Maine Council of Churches, and chaired the Statewide Veterans Advisory Council and the Maine Criminal Justice Commission. Koegel holds a bachelor’s degree in Social Work from Ball State University and a Juris Doctorate from the Indiana University School of Law in Indianapolis.